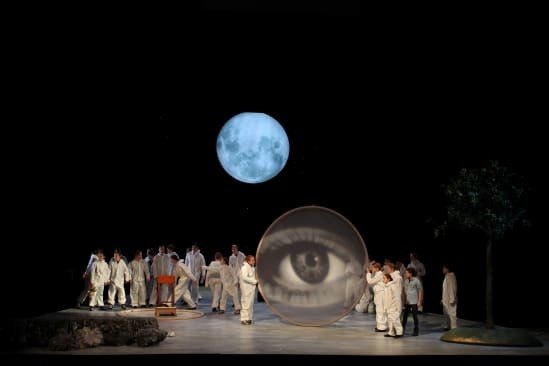 Tycho’s Dream premiered on the main stage at Glyndebourne in November 2014. 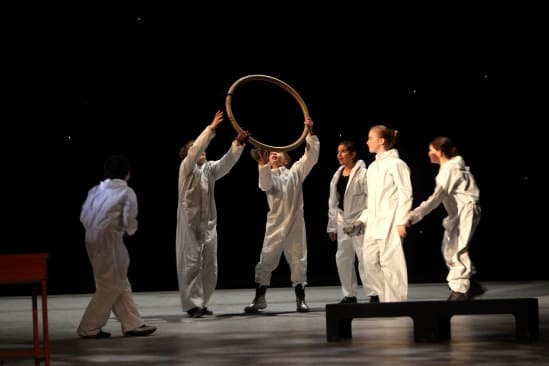 Spanning 1,500 years and 238,900 miles, Tycho’s Dream is a science-fiction adventure composed by Luke Styles, Glyndebourne’s Young Composer-in-Residence from 2011 to 2014, with a libretto written by Peter Cant. 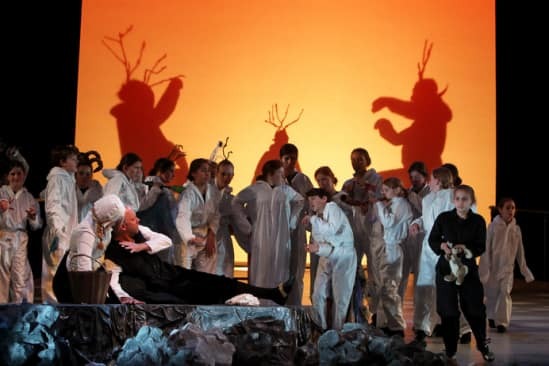 It was performed by professional singers Adam Green and Donna Lennard alongside 57 talented young performers from Glyndebourne Youth Opera, and an orchestra featuring young instrumentalists. Beginning with the discovery of a new star destined to change the perception of the heavens forever, Tycho’s Dream takes the audience on a journey through time and space, from Tycho Brahe’s 16th century Denmark to an imagined future where the hands of innocent children, watched over by the sinister Selene, mine moon rocks in search of the first word spoken on Earth. In six distinct episodes, Tycho’s Dream sets off on a mission to explore the future set in motion by Tycho’s discovery, a future he never could have imagined; where a space elevator connects the Earth and the Moon, where children do not age and where speaking is banned on Earth.